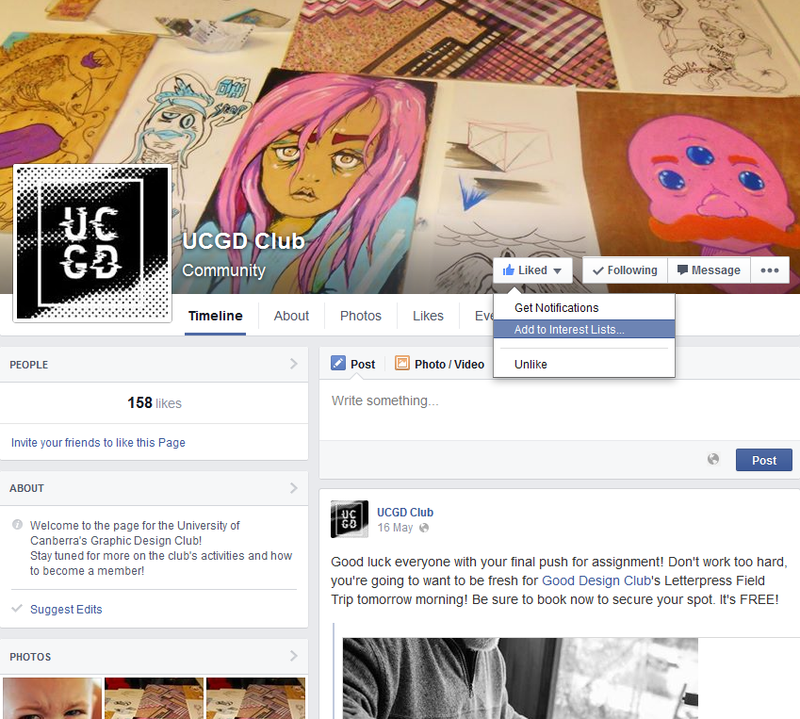 Being the vice-president of the University of Canberra Graphic Design club goes far beyond the usual roles of designer. Tasks taken on this role include event organisation, promotion, leadership, social media, email newsletters, collaborating with other organisations, copy writing and personal relations. 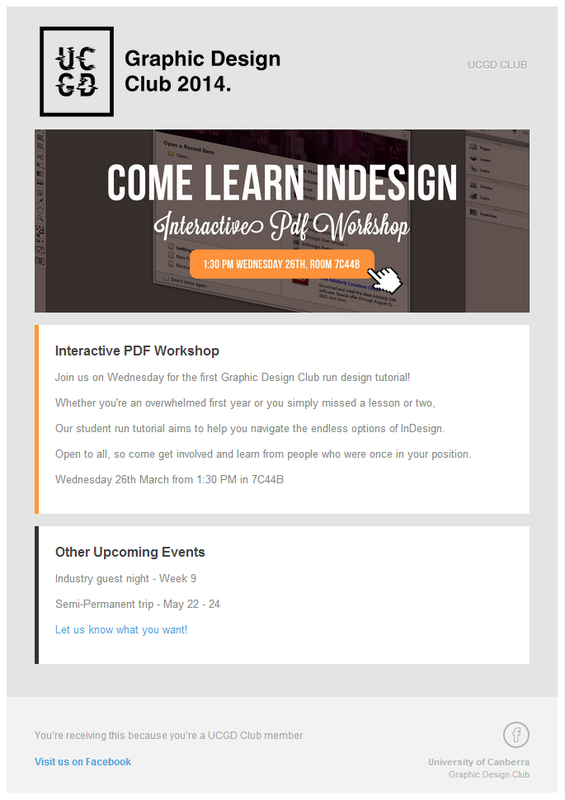 Email informing members of upcoming events; our Art tournament event, the Messy Hands design collective after party and a talk hosted by the University by an international typographer. I think the most time consuming of which is running the Facebook page for the club, as it does incorporate many of these roles. Promoting the club events is just one part of this. It’s also crucial to share with the followers what’s happening in the wider Canberra design community, such as events, but also beyond that sharing design competitions and opportunities. The email newsletter is another important part of keeping our members involved in the club. Not everyone uses Facebook, so emailing our membership base directly alerting them to current and upcoming events is a great way to ensure we’re heard from. But, being a Graphic Design club, we couldn’t just send out a generic email; images and styling was required. 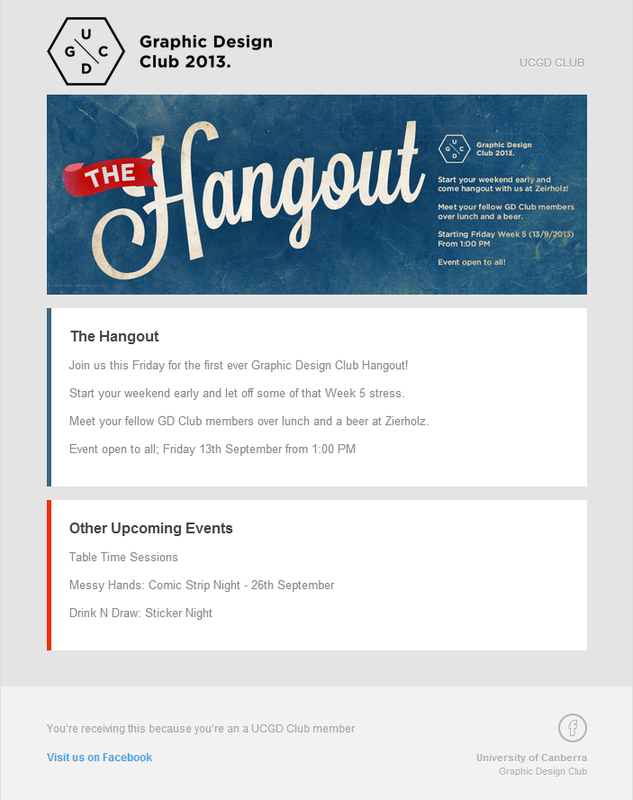 An email template was greatly modified to suit the club’s needs and has been used for the last couple years. Running the public correspondence allows me to set the tone of the club through my writing. Usually the job can be rather fun, writing the copy for events we run as well as encouraging people to attend various other events. In doing so I’ve created a unique voice, establishing ourselves as not too serious, but still knowing what we’re talking about. 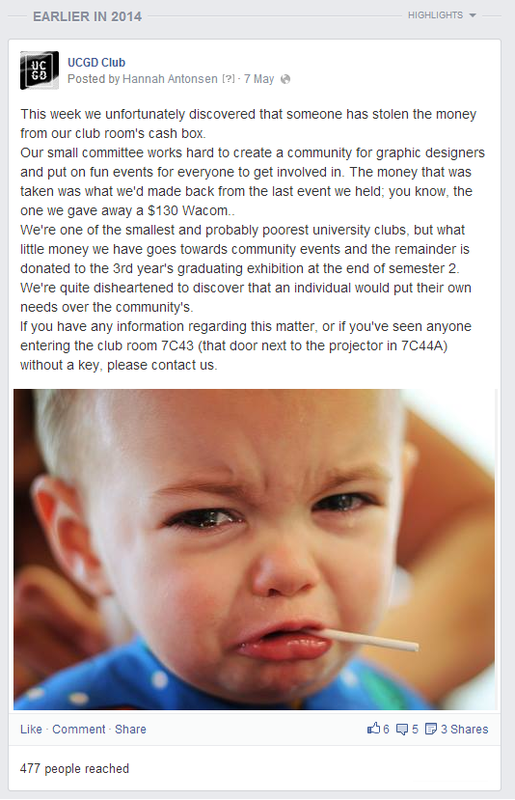 Dealing with a difficult situation; a public post regarding a theft made unique by choice of image. 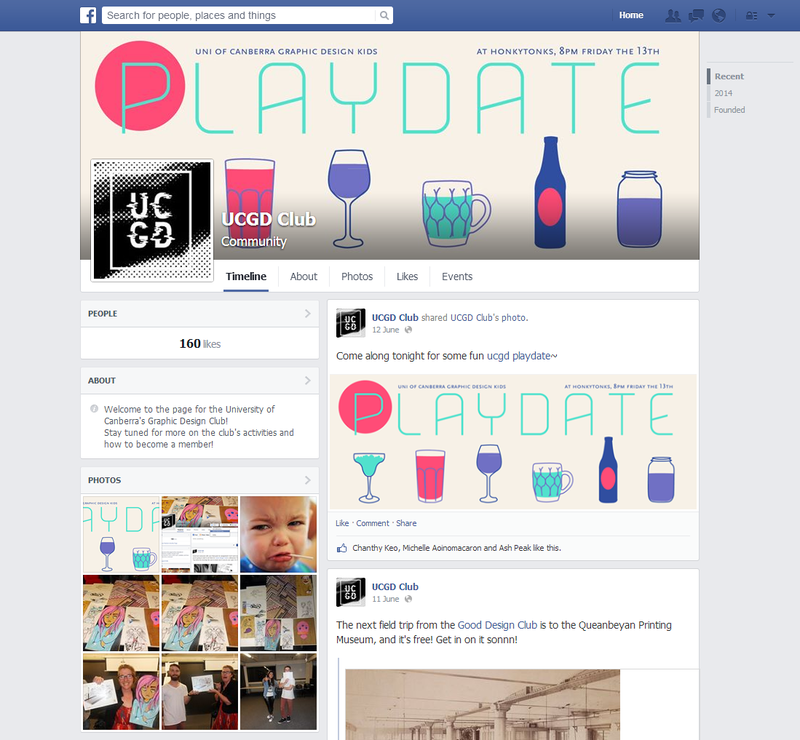 The graphic elements and branding contained in these images were not designed by me, with the exception of the Playdate.